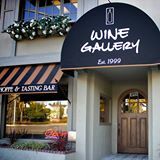 The Connie Cycling Foundation is hosting the Pour For A Purpose wine tasting fundraiser on Saturday, June 11, 2016 at The Wine Gallery in Corona Del Mar from 3:00 to 5:00pm. Pour For A Purpose guests will enjoy wine tasting, appetizers and access to raffle/auction items while mingling with friends and learning more about CCF. ​All proceeds benefit CCF youth programs. Opportunity to attend the Pre-tasting event VIP Sparkle Toast from 2:30 to 3pm. Corporate sponsorhip packages are also available for the event. Anyone interested in the sponsorship packages, please conact CCF at 800-431-5281. A metered parking lot is located on Carnation & 4th Ave.